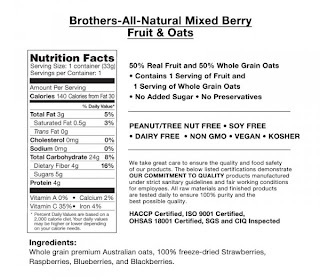 I first ran across Brothers-All-Natural here on this blog back in March, when I posted a review of their freeze dried fruit products. You may have noticed that there is a second giveaway coming up from them with freeze-dried veggies. Come back 9/20 to try to win 4 large containers of Harvester Farms cans that will last 25 years. Below you'll find a rebroadcast of the original review. Our family is a big fan of freeze dried fruits. We've been eating the apples, strawberries, and pineapple from Brothers All Natural for years. It is readily available from our local grocery stores and is a great, healthy snack for parents and child alike. I recently had the chance to try out the sampler packs from Brothers. They have two. One is their regular packaging and one is their kid-friendly Disney packaging. I'd never bought the kid-friendly packaging before, even though it is available right next to what we usually buy, and never realized the product is the same between the two. 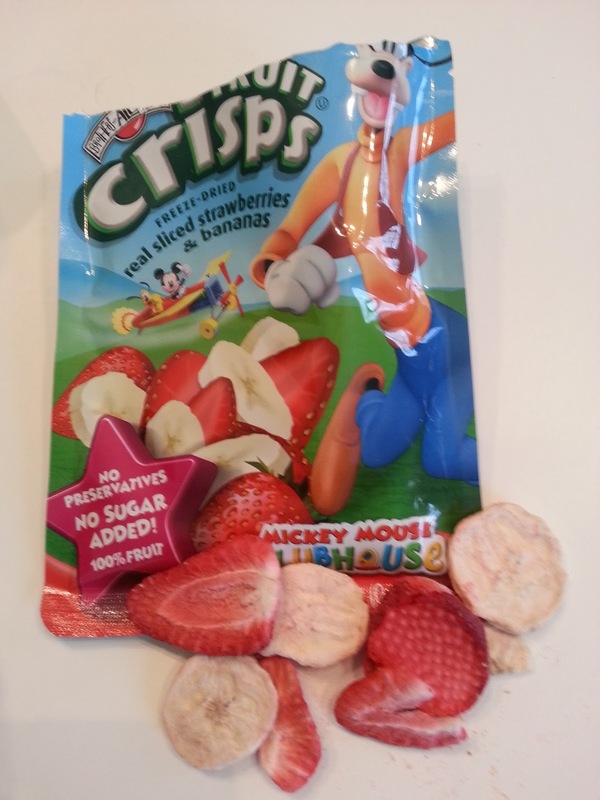 Natural freeze-dried apples are natural freeze-dried apples, for instance, whether they are packaged with Mickey Mouse on the packaging or not. There are no additives here like sugar to make things more appealing for the kiddies. It is literally just to have a kid-friendlier packaging. Once they try these out, most kids won't need the added Disney packaging. The sampler packs provide you with a little bit of everything. You can then decide what you like to buy more of, for the next time, assuming you like something. They are priced below the cost of the same number of packs were you to get the non-sampler offerings. Because of this, you are limited to the number of sampler packs you can order. 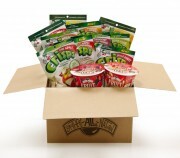 Many folks try their more popular apple, strawberry, and banana packs. If you want to try out some of the other flavors like mandarin orange, peach, pineapple, and pear, the sampler packs are a great way to do just that, without forcing you to overbuy, in case you don't like. Here's a look at what exactly we received. The regular sampler pack is 20 packs: 2 bags each of: Fuji Apple, Apple-Cinnamon, Banana, Peach, Asian Pear, Pineapple, Mixed Berry, Strawberry-Banana, Strawberry, and Mandarin Orange. 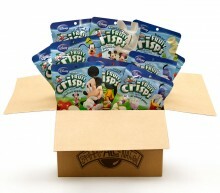 The Disney Fruit Crisps Sampler is 4 bags each of Mickey Mouse Clubhouse Fuji Apple, Mickey Mouse Clubhouse Apple-Cinnamon, Donald Duck Asian Pear, and Goofy Strawberry-Banana. Along with 2 bags Clubhouse Banana and 2 bags Clubhouse Pineapple. One of the first bags I grabbed was for the Mandarin Orange. Let's just say it is an acquired taste, and I didn't even have my son try that one. The rest were all good. I'd probably put the Strawberry-Banana as my favorite. The regular sampler pack included one thing I wasn't familiar with, oatmeal. 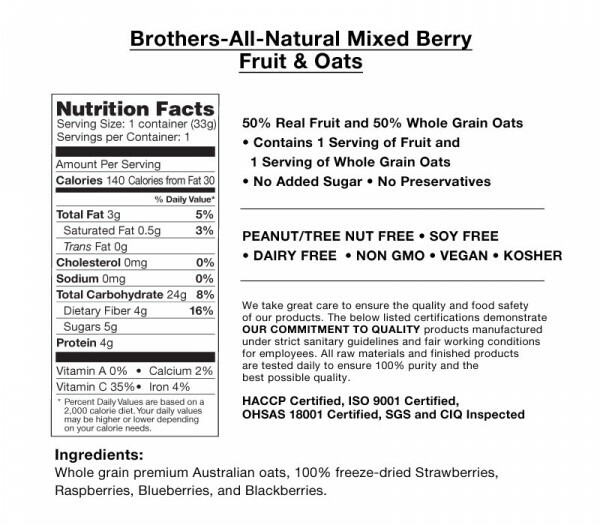 Brothers-All-Natural has a quick serve natural oatmeal offering, with their freeze dried fruit added. Fruit & Oats they call it. There are two varieties here mixed berry and strawberry-banana. My wife looked at the ingredients label and was shocked at what she found added. Nothing. 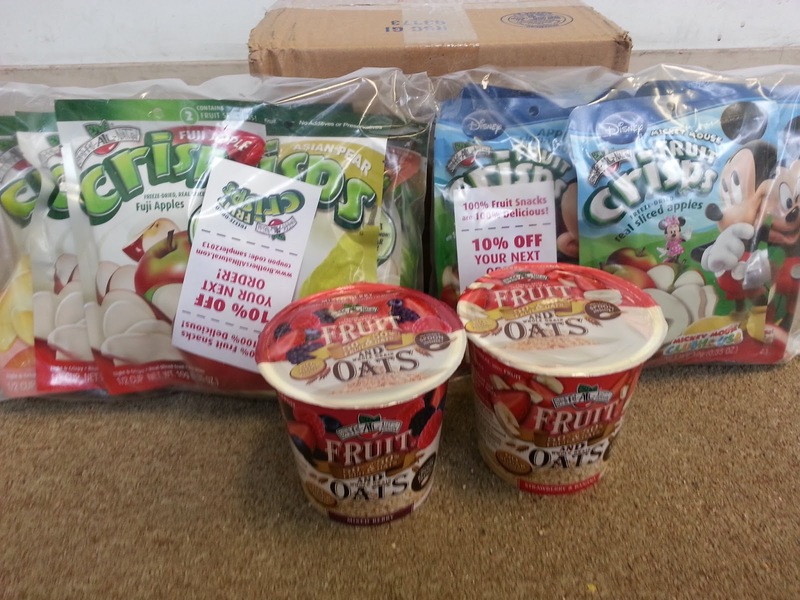 All you get is oats and freeze-dried fruit. She would have loved if our son liked this as he is a frequent oatmeal eater. Unfortunately, it turned out a bit mushier than he liked. He's accustomed to steel-cut oatmeal from Trader Joe's and this just doesn't hold up to that. If you're more the Quaker Oats family, this would compare well to that and be a great, healthier alternative, with the additional fruit crisps. You can't beat the ease of prep and how quickly it becomes available in the single serve cups. In the end, all the freeze-dried fruit crisps disappeared. I'm really not quite sure how they got eaten so quickly. I mean 40 bags, all gone. I did get to try the mandarin orange, which had a very bitter taste, and some others. The rest everyone said were delicious, with very comparable tastes to eating the actual fruits, just in a crispier form. We really liked these and will continue purchasing them, with perhaps a few new fruits added to the mix. While we have these available at our local grocery store, they don't carry all the varieties. Also, if you happen to be in a part of the country where you can't find them, you can buy all of them from their web site. You can buy them in packaging up to 200 bags. I have never heard of these before but am going to check out their website. The grandchildren and I love dried fruit also and these would be perfect for their lunch boxes. I would love to try these! I don't think that I have ever had Freeze Dried Fruit. I will definitely look for these at my local Store.